8 p.m., Castletown Church, Kilcornan, Pallaskenry, Co Limerick. Readings: Exodus 14: 10-31, 15: 20-21; Psalm 114; Romans 6: 3-11; Matthew 28: 1-10. 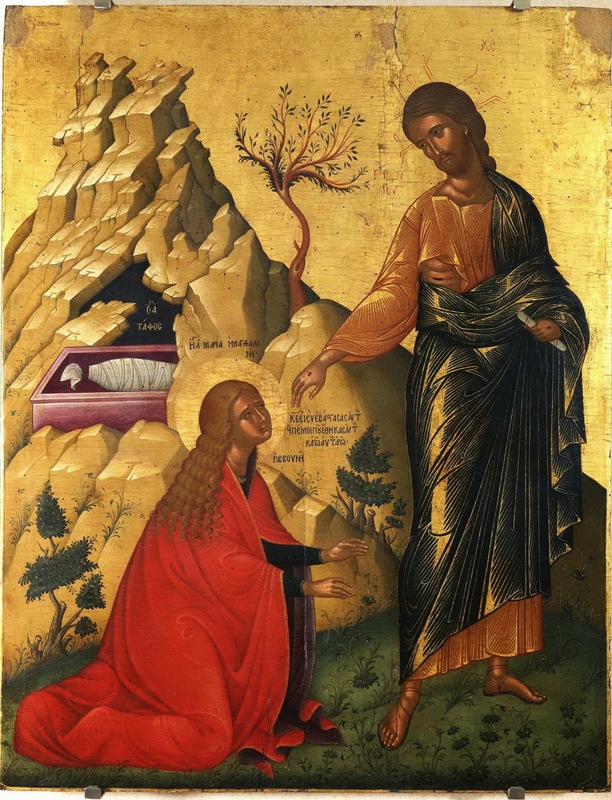 In our Gospel reading this evening, we are told how Mary Magdalene was up while it was still dark, long before morning had broken. It was Passover. But her reasons for being awake while it was still dark and for rising early are not because of any holiday excitement or expectation. She could not sleep the night before because someone very precious – the most important person in her life – had died. Well, the two Marys did not get to sort them out. Because it had been such a hurried burial, things would have been in a mess. He would not have been put in a proper shroud. His eyes would not have been set closed ... all those messy things that most of us do not have to even think about these days, thanks to the professionalism of funeral directors. And Mary Magdalene and the other Mary went to the tomb, probably bringing with them spices and nice clothes, and things like that … things that remind me of the swaddling clothes that Jesus was wrapped in as a baby, and the spices the Wise Men brought to him as his first birthday presents on that first Christmas. And when they get to the grave, there is a greater shock waiting for them. The stone has been rolled away, and the body is missing. So, as tomorrow morning’s Gospel story (John 20: 1-18) she runs back and tells Simon Peter and John the Beloved Disciple. They look inside, they see an empty gave, and then they go home again. But Mary comes back to the garden, and decides it is worth hanging on to see what has happened. And because she waited, because she wondered, because she questioned, she was there to have first encounter with Jesus as the Risen Lord. Can you imagine her excitement? A dark night of waiting is turned into the most glorious morning. The spices and clothes they were bringing are no longer needed. Instead, here is the most wonderful present possible. Human hate been defeated by God’s love. (Revd Canon Professor) Patrick Comerford is Priest-in-Charge of the Rathkeale and Kilnaughtin Group of Parishes and Canon Precentor in the cathedral chapters of Limerick, Killaloe and Clonfert. 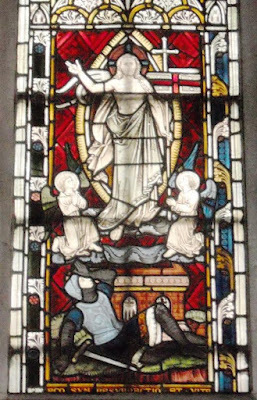 This sermon was prepared for the Easter Eucharist in Castletown Church on Saturday night, 15 April 2017. Giorgios Koros (1923-2014), who died recently, was one of the finest Greek solo violinists of our time. He was born on the island of Evia in Greece. He started playing the violin at the age of eight, when his father – who was a church cantor and a teacher of Byzantine music – decided to replace the mandolin with a violin and a bow without strings. His professional career began a year later, when he began playing at weddings and feasts with his father, and he began appearing on stage in 1947, collaborating with many famous Greek folk musicians. His mother spurned the opportunity for him to have a classical musical education. But George Koros later revolutionised Greek folk music through the introduction of the fiddle as an accepted instrument. He became an acclaimed, self-made musician, who has composed about 2,000 songs, and he was awarded many gold and platinum discs for his albums. But, despite his reputation in Greek folk music, for me he is stands out for his Byzantine hymns. In these hymns, he returns to his roots in Byzantine music and with his violin he recreates the tradition of the early hymns he learned from his father in church as a boy. In one such hymn, he uses his violin to plaintively recall the sorrow of the tomb: I see thy resting place and Life in the Holy Sepulchre. In the Western tradition of the Church, at this time of the year, we have traditionally contemplated the cross, and then the empty tomb. 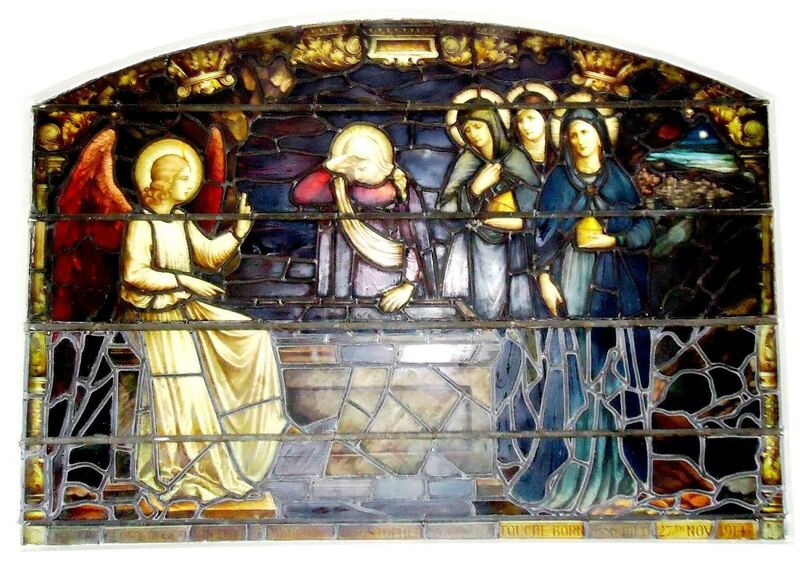 As the Irish writer and journalist John Waters pointed out recently, the deep joys of the Resurrection have often been overshadowed in the Western Church by the way of the Cross, as though the Cross leads only to death. We have neglected Christ’s resting place, his tomb, and given little thought to what was happening in the Holy Sepulchre on this day. 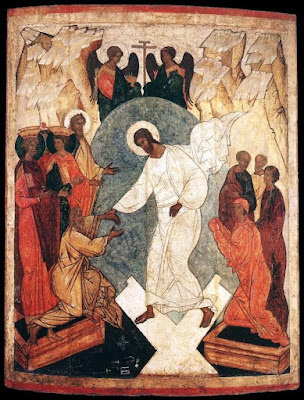 Holy and Great Saturday is observed solemnly in the Orthodox Church, with hymns and readings that truly explore the theme of the Harrowing of Hell in depth. For this Saturday is the day on which Christ’s body lay in the tomb, this is the day on which he visited those who were dead. In the NRSV, I Peter 4: 6 reads the gospel was ‘proclaimed even to the dead …’ reflecting the original Greek: ‘εἰς τοῦτο γὰρ καὶ νεκροῖς εὐηγγελίσθη …’ The New International Version, however, says the Gospel ‘was preached even to those who are now dead …’ But the word ‘now’ is not in the Greek text. It was inserted to rule out the idea that Christ preached to those who were dead when they were preached to, and instead it says that he brought his good news to people who were dead at the time I Peter was written. If you remove the word ‘now,’ the English becomes ambiguous on that point, just like the Greek is ambiguous there. The Early Church taught that after his death Christ descended into hell and rescued all the souls, starting with Adam and Eve, who had died under the Fall. The Harrowing of Hell is intimately bound up with the Resurrection, the Raising from the Dead, for as Christ is raised from the dead he also plummets the depths to bring up, to raise up, those who are dead. The Harrowing of Hell carries us into the gap in time between Christ’s death and resurrection. 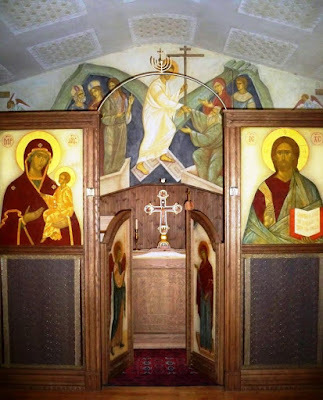 In Orthodox icons of the Harrowing of Hell, Christ stands on the shattered doors of hell. Sometimes, two angels are shown in the pit binding Satan. And we see Christ pulling out of hell Adam and Eve, imprisoned there since their deaths, imprisoned along with all humanity because of sin. Jesus breaks down the doors of hell and leads the souls of the lost into heaven. In discussing the ‘Descent into Hell,’ Hans Urs von Balthasar argues that if Jesus’ mission did not result in the successful application of God’s love to every intended soul, how then can we think of it as a success. 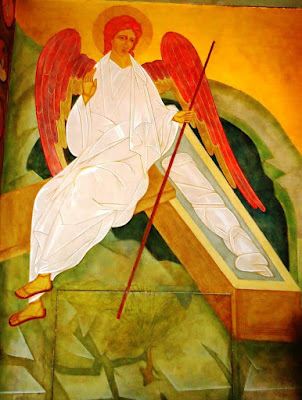 He emphasises Christ’s descent into the fullness of death, so as to be ‘Lord of both the dead and the living’ (Romans 5). However, in her book Light in Darkness, Alyssa Lyra Pitstick says that Christ did not descend into the lowest depths of hell, and only stayed in the top levels. 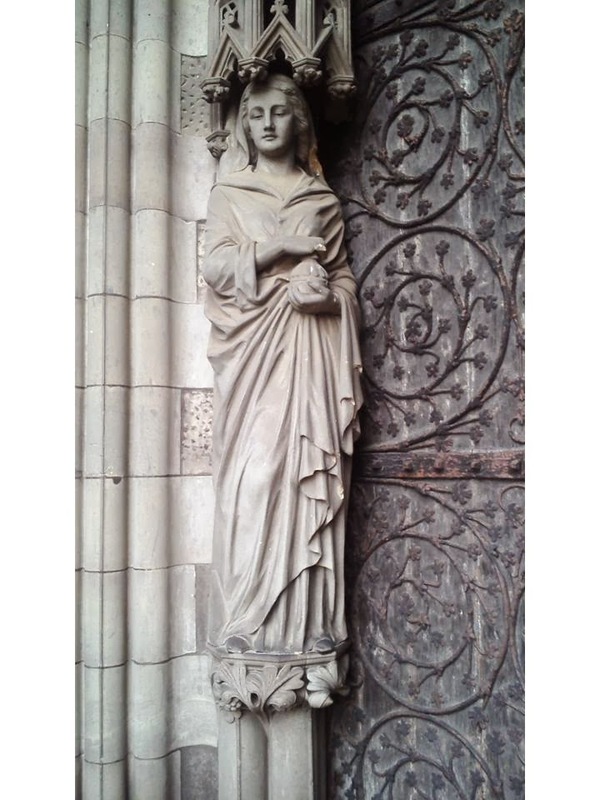 She finds untenable his view that Christ’s descent into hell entails experiencing the fullness of alienation, sin and death, which he then absorbs, transfigures, and defeats through the Resurrection. 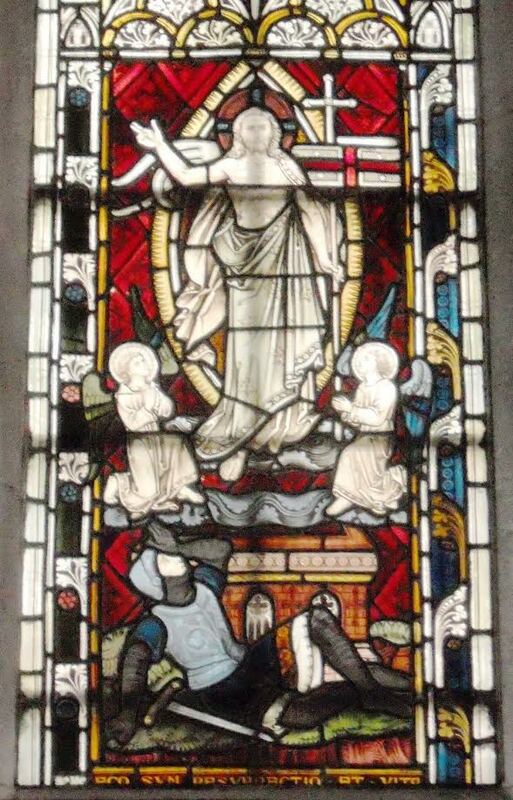 Instead, she claims, Christ descends only to the ‘limbo of the Fathers’ in which the righteous, justified dead of the Old Testament awaited the coming of the Messiah. Her argument robs the Harrowing of Hell of its soteriological significance. For her, Christ does not descend into hell and experience the depths of alienation between God and humanity opened up by sin. She leaves Christ visiting an already-redeemed and justified collection of Old Testament saints to let them know that he has defeated death. I ask myself: what’s the difference between the top levels and bottom levels of hell? Is my hell in my heart of my own creation? In my mind, in my home, where I live and work, in my society, in this world? Is hell the nightmares from the past I cannot shake off, or the fears for the future when it looks gloomy and desolate for the planet? But is anything too hard for the Lord? The icon of the Harrowing of Hell tells us that there are no limits to God’s ability to search us out and to know us. Where are the depths of your heart and your soul – where darkness prevails, and where you feel even Christ can find no welcome? Those crevices even you are afraid to think about let alone contemplate, may be beyond your reach. You cannot produce or manufacture your own salvation from that deep, interior hell, hidden from others, and often hidden from yourself. Christ breaks down the gates of Hell, and as the icon powerfully shows, he rips all of sinful humanity from the clutches of death. He descends into the depths of our sin and alienation from God; and by plumbing the depths of hell he suffuses all that is lost and sinful with the radiance of divine goodness, joy and light. If hell is where God is not, and Jesus is God, then his decent into hell pushes back hell’s boundaries. In his descent into hell, Christ reclaims this zone for life, pushing back the gates of death, where God is not, to the farthest limits possible. Christ plummets even those deepest depths, and his love and mercy can raise us again to new life. When we remember Christ lying in the grave, we can ask him to take away all that denies life in us, whether it is a hell of our own making, a hell that has been forced on us, or a hell that surrounds us. Christ reaches down, and lifts us up with him in his Risen Glory. This paper was published in ‘Koinonia’ (Kansas City MO) vol 10 no 33 (Easter 2017), pp 10-13.